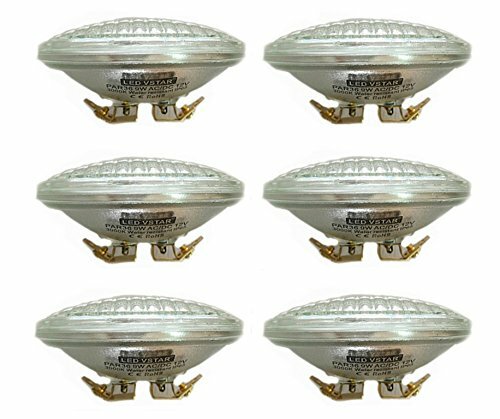 LED PAR36 9W, 12V AC/DC Lamp, Eq to 50W Halogen with 80% Energy saving, Luminous flux: 800-900LM, 120 degree spread, Color temperature: 2700K-3000K, Warm-white, CRI > 80Ra, Protect level: IP65 (Splash / Waterjet proof), No UV or IR radiation, low heat, Base: Bi-Lugs, Brass screw, Size: DiaØ113 * 60mm, Light source: 51x SMT 2835 LED, Life: 15,000 hours. If you have any questions about this product by VSTAR, contact us by completing and submitting the form below. If you are looking for a specif part number, please include it with your message.